6. How Long Does Bursitis Last? When you suddenly feel pain in your hip or joint, whether it comes with creaky bones or not, you might think you are getting arthritis. The truth might be different from what you think. Bursitis is a problem which causes such symptoms. Let’s get to know more about bursitis and above all, can you have some top natural home remedies for bursitis to get rid of it efficiently! Bursae, which are the plural term for Bursa, are small pouches or sacs which contain the synovial fluid and locate between tissues, muscles, and tendons as well as joints. This fluid is in charge of lubricating and lower friction which is a result of joint movement. They also act as pads which can share the pressure that the joints might take. There are more than 160 bursae which are often found beside synovial cells whose function is producing synovial fluid . Bursitis is the term used to call the state of tear and wear happened to joints altogether or simultaneously. It is caused by the inflammation in the bursa which incurs the irritating sensation. Thus, the sufferers will experience the stinging and severe kind of pain from this problem . Bursitis can happen to any joints in your body, but the joints which often generate much movement repetitively are vulnerable. In most cases, we suffer from bursitis because of repetitive movements, especially when we have already had injuries. As time passes by, you develop a higher risk of bursitis because aging is responsible for a massive loss of tissues and a decline in the flexibility of your joints. Notably, this problem seems to affect women more than men. The explanation is that women might have more irregular hormonal impacts. 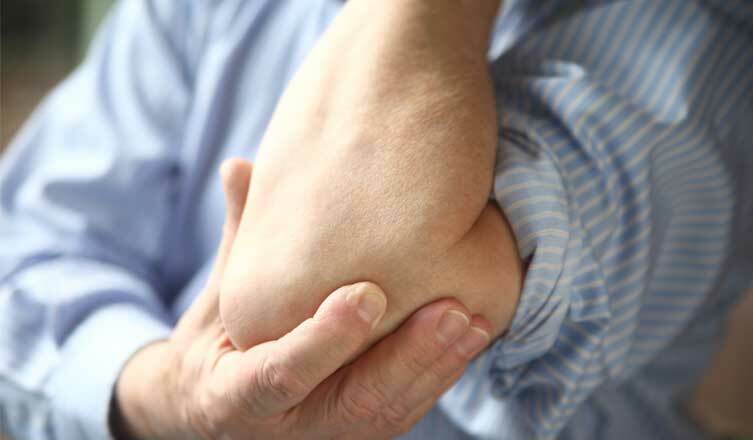 Repetitive impact on joints: It is considered the most common reason for why you might get bursitis. Such movements which are repeated day by day as lifting weights to over the head or cleansing the floor whilst kneeling will damage the bursae. Joint overuse: When you use a specific joint continually in such activities as gardening, painting or carpentry, the soft tissues in your joint might be damaged, and this can lead to irritation and inflammation. Poor stretching and incorrect posture: This is why proper warm-up before exercising is vital as poor stretching will cause bursitis. The same goes for incorrect posture such as extended sitting position on a hard surface. On the other hand, you might want to know why bursitis tends to happen in some specific areas of your body. Pain: The level of pain will be dependent on the conditions. In case the calcium crystals accumulate, the pain will be severe and sudden. Pain from bursitis will elevate along the joints movements and it can be excruciating at some point. Overall, bursitis signs do not pose threats to our health. Nevertheless, you should not underestimate them because bursitis probably leads to complications. When intense pain affects you during more than 2 weeks, you should contact your doctor immediately. Besides, in case you have one of these following signs, it is imperative to seek medical attention from an expert. How Long Does Bursitis Last? Most people suffer from bursitis during several weeks. Some might even experience it for months. However, if you do not use any treatments to address this problem, it might be there for longer and have more adverse effects. It is essential to be committed to the treatment, even when you see some significant improvements. You need to reduce the risks of bursitis coming back with the appropriate tips. Besides a bursitis diet, here are the top 15 most useful home remedies for bursitis which are easy for you to apply at home to protect your joints and prevent them from getting bursitis as well as improve the treatment in case you get bursitis. In the first rank of the most efficient home remedies for bursitis, the coldness will help you alleviate the swelling as well as pain by numbing the areas affected. Also, it can be handy for decreasing inflammation and tenderness . 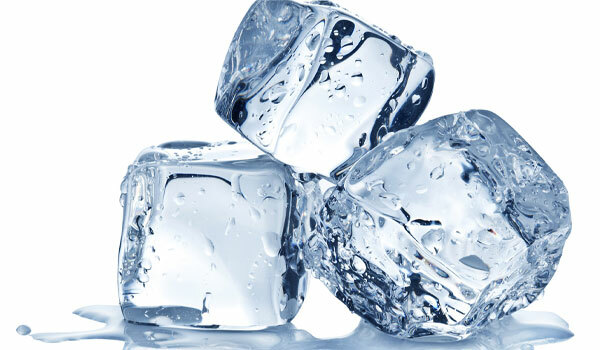 Use a thin towel to wrap few ice cubes. Apply the ice pack onto the joint. After 15 minutes, discard the ice pack and keep the joint above the heart. Rest and perform again for couples of time until the symptoms are relieved. Note: Avoid applying ice directly to the skin which can inflict frostbite. You can find out more about the applications of cold compress at Home Remedies for Sprained Ankle and Dark Circles. Might you need heat or ice for bursitis? The second rank on the list of home remedies for bursitis goes to warm compress, which is effective against acute or chronic bursitis as it will promote the flow of blood at joints, decrease stiffness and control inflammation . Directly apply the towel onto the affected joint. After about 20 minutes, remove and perform again for couples of time per day. Another option is using the heating pad or even bottle of hot water. Also, you might soak your affected joint in warm water. For more information about the benefits and applications of warm compress, please read Home Remedies for Armpit Lumps and Ear Discharge. Massage can be a perfect answer to your wonder of top natural home remedies for bursitis. This remedy for bursitis can significantly promote the circulation of blood, which can help you control stiffness and swelling. Thus discomforts can be alleviated. In fact, massage can be a great addition to other home remedies for bursitis in this list, primarily when essential oils serve as home remedies for bursitis. Warm up some oils such as mustard, sesame, coconut or olive. Apply the oil onto the affected joint and massage for about 10 minutes. After that, apply a warm towel onto the affected joint. Perform for couples of time per day until the symptoms are improved. Note: Avoid using massage in case your bursitis is caused by infections. You can find out more about what problems massage can treat as a home remedy at Home Remedies for Scar Removal and Puffy Eyes. In the list of the impressive home remedies for bursitis, castor oil is an excellent essential oil. The anti-inflammatory properties found in ricinoleic acid can effectively alleviate pain as well as swelling and inflammation. Moreover, it can promote the mobility and flexibility of joints. This is the reason why you should not skip this ingredient on your available list of elbow bursitis treatments at home. 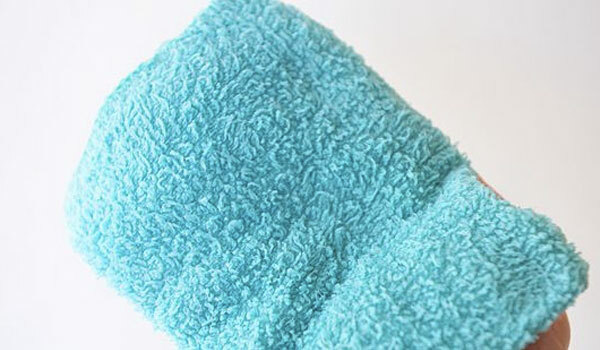 Use castor oil which is cold-pressed and soak in a wool flannel cloth. Apply onto the affected joint and use plastic wrap to cover it. After that, put on a heating pad or bottle of hot water then use a towel to cover. After about 40 minutes, remove all the equipment and massage the joint for a while and then cleanse with warm water. Perform for 3 to 4 times per week. The analgesic and anti-inflammatory properties of ginger make it a perfect one among top home remedies for bursitis that can alleviate pain efficiently and encourage circulation of blood which will promote quick healing and decrease discomforts. Grate some fresh ginger and wrap in cheesecloth. Put it into the hot boiling water for about 30 minutes. After it cools down, apply onto the joint for about 10 minutes. Perform at 2 or 3 times per day. Use ginger oil for massaging the affected joint for couples of time per day. Another option is to take a tablespoon of ginger sliced into the hot boiling water. After simmering for 10 minutes, have it strained and put in some honey. Consume for 2 to 3 times per day. 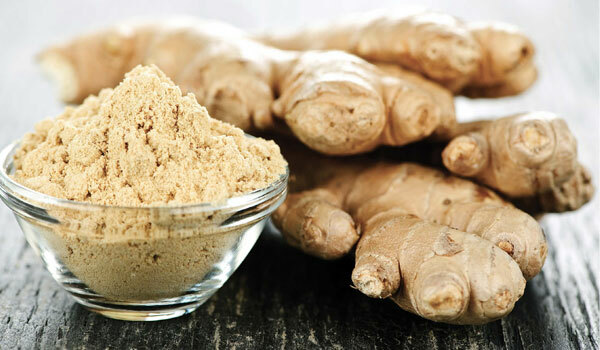 In addition to curing bursitis, ginger is also one of the most incredible home remedies for arthritis in hands. Another useful ingredient in the list of top home remedies for bursitis is apple cider vinegar (ACV). The alkalinity in your body can be controlled with this vinegar, another treatment of bursitis. Various minerals such as phosphorus, potassium, calcium and magnesium can help you maintain the balance of body fluid as well as decrease inflammation. Use a towel to soak in vinegar and apply it directly onto the affected joint for couples of hours per day. Make a mixture of a tablespoon of vinegar with some honey and water. Consume twice per day for couples of day. The anti-inflammatory property found in curcumin from turmeric is excellent at alleviating inflammation, swelling as well as pain. It is very effective especially against chronic and acute bursitis. Turmeric deserves itself to become one of the most potential home remedies for bursitis. Boil some milk and add a teaspoon of turmeric powder. Put in some honey and consume twice per day for couples of day. Take curcumin supplementary pills after consulting the doctor. Note: Remember to control the amount of curcumin intake as it might thin your blood. The salicin in white willow bark is excellent at relieving pain as well as swelling and inflammation, making it one of the dominant home remedies for bursitis. Take half a teaspoon of dried white willow bark into a cup of hot boiling water. After about 15 minutes, have it strained and consume twice per day. Take extra curcumin pills after consulting the doctor. Note: Avoid applying to children or people under medication which might thin blood. You might be surprised at health benefits of white willow bark on home remedies for tennis elbow and joint pain removal. Besides being rich in magnesium, the anti-arthritic and anti-inflammatory properties in the milk of magnesia make the ingredient one of the best home remedies for bursitis that can help you fight pain and inflammation effectively. Mix a cup of water with a teaspoon of milk of magnesia and consume twice per day for 1 week. Consume more magnesium-rich foods such as green with dark leaves, bean, banana, oat or lentil. Take magnesium supplementary pills after consulting the doctor. The dimethyl sulfoxide or DMSO which is found in wood pulp and often available in gel or liquid form, possess analgesic property that can help you relieve pain as well as inflammation rapidly. Thus it can promote quick healing. DMSO can be one of the most significant home remedies for bursitis you never try. Use a cotton ball to apply the 70% DMSO solution onto the affected joint. Massage for a while to encourage the absorption. Perform for 2 to 3 times per day for couples of day. DMSO characteristic is warm, and it also contains some side effects. In case the symptoms are not improved, you should stop applying this remedy. Learning home remedies for bursitis is no longer painful thanks to Boswellia serrata. Containing the anti-inflammatory property, it can significantly relieve your pain as well as inflammation and swelling. You can intake the extraction of this herb regularly to make treatments of bursitis as well as promote good joint health. Licorice is among top herbs for bursitis. It is also an effective astringent for bursitis as it can efficiently decrease the symptoms of bursitis. 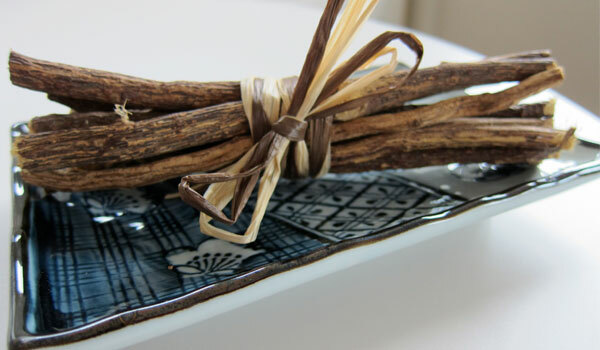 You can use licorice tea for couples of time per day; however, it is necessary to consult the doctor on the dosage of licorice. Cayenne pepper is one of the essential home remedies for bursitis. This remedy is recommended due to its effectiveness against bursitis symptoms. You can boil the mixture of a tablespoon of cayenne pepper with a glass of vinegar for about 15 minutes. 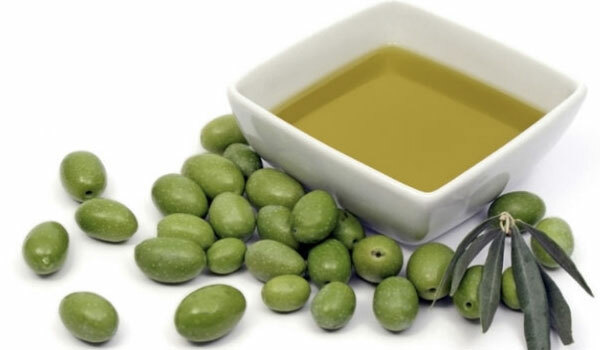 Before applying the mixture, put on a layer of olive oil and a piece of cotton cloth to apply. It is another effective home remedies for bursitis. You can make a paste from horseradish root and water. Then use a small porous pouch to wrap the paste and apply onto the affected joint. Though it is not unfamiliar for many people, it is one of the most useful home remedies for bursitis because of the mixed beneficial ingredients. The remedy formula is consuming a mixture made from horsetail, willow, and meadowsweet. In addition to natural home remedies for bursitis, you can follow some simple tips which can have tremendous effects on your treatment. Let the affected joint rest for couples of day to promote quick healing. Apply acupuncture to decrease inflammation and swelling. Sleep with a cushion under the affected joint for support of pressure. Keep out of pressuring more on the affected joint as well as remaining in 1 position for too long. Frequently take a break and move around. Put more efforts into maintaining normal healthy weight to avoid excessive pressure on joints as well as exercise to improve strength and health of joints. Remember to warm-up properly before intensive exercises to keep your joint from being injured. Consume more vitamin-C-rich foods as it is an excellent nutrient for joint. The efficiency of these home remedies for bursitis is undeniable, but have you ever thought that if you had been aware of this problem in the past, you would never have needed these treatments? The prevention is much more vital than the treatment, as always. Therefore, it is imperative for you to learn something about how to prevent bursitis, instead of focusing only on the home remedies for bursitis. You might doubt this tip as stretching too much is likely to cause joint pain or some kinds of injuries. However, movement plays an essential role in maintaining the mobility of your joints. Even in the treatment of bursitis, you still need to stretch the affected area regularly to alleviate pain, inflammation, and stiffness. Otherwise, over time, you can find it challenging to move the area again. The key is to stretch your body gently. The suggestion is to work with a professional physical therapist who gives you the best advice on accelerating the recovery. When you stretch, strengthen, and train your muscles and joints regularly, you can reduce the signs of aging and other disabilities that develop over time. It is essential to concentrate on your core and legs. Stretching is even more vital when it comes to post-workout. Doing exercise is a good thing to do on a daily basis; however, if you have improper posture, it might have counterproductive results. Poor posture even affects you negatively when you drive or sit at work. Thus, it is high time you practiced good posture so that your hips, neck, and spine can get enough support to stay healthy. You should consider switching from sitting to standing and reverse more at office, instead of spending hours sitting. It is a crucial tip to reduce stiffness and pressure on your spine. Last but not least, you cannot combat inflammation without a balanced diet. To be specific, you need a variety of anti-inflammatory foods that not only make you younger but also lower the risk of possible injuries. In fact, many of these foods are introduced as excellent home remedies for bursitis, so why don’t you take advantage of them immediately? On the other hand, you need to stay away from certain foods which can worsen your inflammation and injuries, including alcohol, processed foods, and foods which can lead to obesity. In general, bursitis is not a dangerous problem to the point that you need tons of money for surgery. Nevertheless, you had better address it as soon as possible to avoid any feasible complications in the future. With our natural home remedies for bursitis, we hope that you find what you need to stay healthy and avoid pain on a daily basis. Remember to SHARE the article to spread the information about a possible problem that comes from our poor posture and lack of concern! Thank you for these home remedies. I have used DMSO for about a year on my hip bursitis. It has been a great help.